UAE’s first ever doctoral programs in Quality Management, Educational Leadership and Healthcare Management. ]UAE, September 15, 2013[ Hamdan Bin Mohammed e-University (HBMeU) has officially launched the UAE’s first doctoral programs in Management – Total Quality Management, e-Education – Educational Leadership, Health and Environmental Studies – Healthcare Management for the new 2013-2014 academic year. The three new programs are accredited by the UAE Ministry of Higher Education & Scientific Research, and represent a major step forward in the efforts to encourage modern scientific research, disseminate knowledge to address the needs of the regional labor market and advance academic and intellectual achievements, particularly as they are closely linked to issues of social and economic development in the UAE and the Arab world. HBMeU has employed highly qualified and experienced local and international academic supervisors to ensure that these programs match the highest quality standards in the provision of educational courses. The first batch of learners from different nationalities were accepted for the doctoral programs after undergoing a series of assessment tests that included oral and written tests, as well as personal interviews with each learner. The objectives of the new doctoral programs contribute to achieving the goals of the UAE Vision 2021 as they tackle a number of issues such as “The challenges of unemployment among UAE nationals from a practical point of view”, “The theory of effective national programs for achieving government excellence”, “Measuring the quality of knowledge in government institutions in the UAE”, “Intelligent application of IT”, “Towards world-class health care management in the UAE”, and “Attitudes towards technical and vocational education: incentives and obstacles”. “As per the directives of H.H. Sheikh Hamdan Bin Mohammed Bin Rashid Al Maktoum, Crown Prince of Dubai and President of HBMeU, our vision is based on encouraging scientific research and the dissemination of a culture of quality and excellence in e-Learning across the Arab world through three of our schools; the e-School of Business and Quality Management, e-School of Health and Environmental Studies and School of e-Learning. HBMeU is keen to adopt integrated strategies and advanced academic policies that would support UAE’s 2021 Vision of transforming the UAE into one of the best countries in the world by 2021. There is no doubt that the doctoral dissertations due to be submitted by learners and researchers will have a positive impact on providing effective practical solutions based on the methods of scientific research to serve the strategic objectives and ambitious aspirations of our wise leadership,” said Dr. Mansoor Al Awar, Chancellor. HBMeU has already established fruitful partnerships with several well-known institutions to enrich its academic and professional programs. Consolidating these partnerships under the global consortium will ensure that HBMeU’s Ph.D. program will prove hugely successful in terms of academic quality and effectively serve the research needs of the Arab world. Stage set for early kick-off of ‘EDUKEX 2013’ in Abu Dhabi and Dubai on 24 and 25 September. Dubai, UAE, 16th September 2013: According to the latest data released by British Council, the United Kingdom’s international organisation for cultural relations and educational opportunities, there are 3220 UAE students studying in the UK for 2012-2013 academic year, which represents an increase of 5 per cent over 2011-2012 academic year. This was revealed by British Council while announcing the 12th edition of the Education UK Exhibition ‘EDUKEX 2013’ which will be held from September 24 to 26 in Abu Dhabi and Dubai. British Council’s target for UAE students completing their higher education studies in the UK during 2013-2014 academic year is 4000, which represents an increase of 20 per cent over previous year. 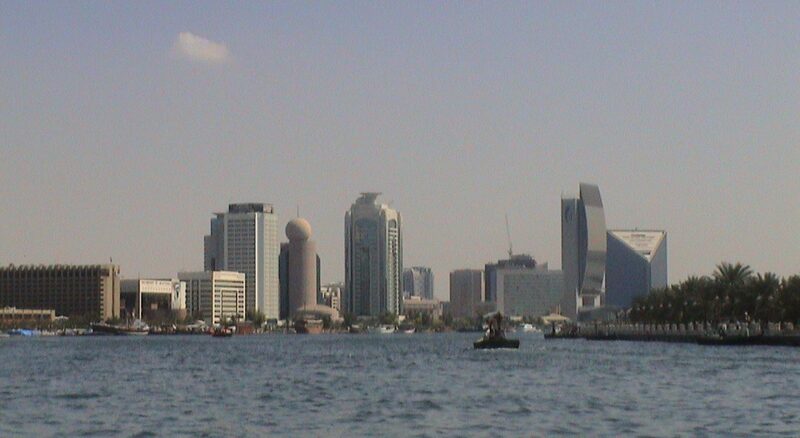 The UK education system enjoys a high reputation among UAE students as a gateway to acquiring skills that would enable them to compete effectively in the global job market. Jessel added that EDUKEX aims to raise awareness of the quality of UK higher education as well as showcase the wide range of courses and programmes on offer in the UK. 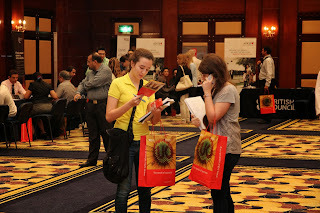 EDUKEX is a major activity conducted by the British Council to highlight opportunities presented by UK universities. Jessel stressed that the show also seeks to build long-term institutional and individual links between higher education institutions in the UAE and the UK. More than 45 UK universities and colleges will showcase a wide range of bachelors and masters courses, as well as foundation-year courses to visitors in Abu Dhabi and Dubai. EDUKEX 2013 will allow visitors to broaden their knowledge about English language courses, vocational courses and higher education courses offered by a number of UK universities.